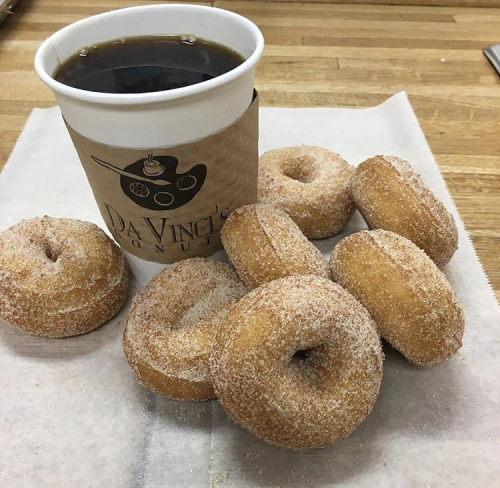 Begin your day the right way with J.Christopher&apos;s or Da Vinci&apos;s Donuts for breakfast. J.Christopher&apos;s has a killer $10 deal that includes strawberry crepes, French toast, and eggs Benedict, while coffee and donuts from Da Vinci&apos;s never disappoints either. Especially maple bacon ones. Cozy up for lunch or dinner at Crema Espresso Gourmet. This cafe serves more than just coffee, and restaurant week is the perfect time to explore their other just as satisfying menu options. Craving Italian? You won&apos;t be for much longer! For a local and charming mom-and-pop marketplace, we recommend E. 48th Street Market. This family owned and operated store also doubles as a restaurant serving Italian sandwiches, desserts, homemade pastas, and casseroles. Romantics frequent Carbonara Trattoria for its ambiance reminiscent of Italy and its carefully selected menu to match. For a family-style and slightly more filling experience, try Novo Cucina who is known for their pizzas, salads, pastas, and homemade gelato. Alternatively, you can get creative at Your Pie by building your own 10 inch pizza to go along with your favorite choice of a side. We know it&apos;s challenging to decide between all 4 of these restaurant, but that&apos;s why we gave you an entire week to work with! It may be Dunwoody Restaurant Week, but our dining experiences take you far beyond the state line. Pull up a seat and take a culinary tour around the world at these Dunwoody favorites - no passport required! Find some of Atlanta&apos;s best Indian food at Viceroy Royal Indian Dining. If you want a sample of several cultures at once, go to Simha Fusion (formerly known as Com Dunwoody Vietnamese Grill.) They&apos;ve extended their menu to now include Vietnamese, Indian, and Thai. For a taste of Greece, pay a visit to Grecian Gyro for one of their namesake gyros or a delicious falafel. Add some Spanish flair to your palate with tapas from Eclipse Di Luna, or have a fiesta with authentic Mexican dining at El Azteca in Dunwoody Village! 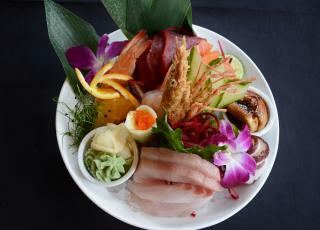 Curious palates seeking the very best from all over should eat at Portico Global Cuisine. Located inside our Le Meridien Atlanta Perimeter hotel, this swanky and eclectic restaurant offers a contemporary twist on worldwide favorite dishes. Enjoy burgers, sushi, or even both at The Cowfish Sushi Burger Bar for dinner. They&apos;re serving up their must-have fusion specialties and bento boxes, alongside complimentary edamame at each table! Save room for dessert because their Mousse is Loose Chocolate Cake is what dreams are made of. Eat, drink, and be merry at Vino Venue. This restaurant and wine bar is both widely known around Atlanta and a local favorite. With a menu that is just as impressive as their wine selection, Vino Venue is always tough to pass up. If it&apos;s sweets that you seek, you will be happy to see Ali&apos;s Cookies or Da Vinci&apos;s Donuts on our list of participating restaurants. Both will offer specialty menus allowing their patrons to score sweet deals all week long. Restaurant Week will have no shortage of steak this year with 3 of Atlanta&apos;s finest serving up cuts. It&apos;s not every day that you can enjoy a premium steak with all the side fixins for less, so you definitely don&apos;t want to pass up a visit to McKendrick&apos;s Steak House, The Capital Grille, Fleming&apos;s Prime Steakhouse or Fogo de Chao. Our best advice is to pace yourself. With so much to enjoy at such a small cost, you&apos;re going to want to savor every juicy bite. Keep things cool and casual with our bar options for the week. 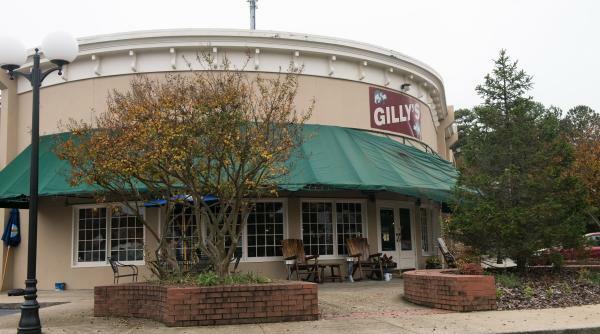 Stop in for lunch at The Bird and take advantage of their beer specials, or watch the game and make new friends at Gilly&apos;s - Dunwoody&apos;s neighborhood bar that serves the best wings in town. Eating with a group of people who all have a taste for something different? Go somewhere all-encompassing, with all the shareable items. 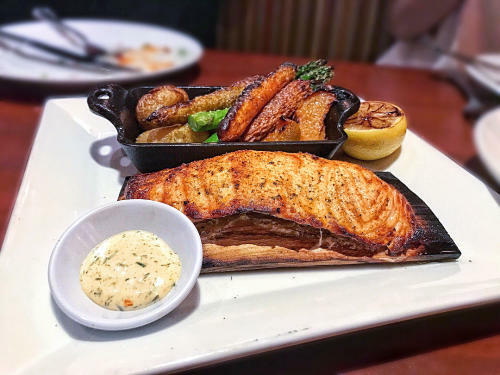 Enjoy the flavors of summer with a seasonally-inspired menu from Seasons 52, or keep things evergreen at Sage Woodfire Tavern. No objections guaranteed. New to Dunwoody Restaurant Week this year is Big Dave&apos;s Cheeesteaks! The owner is actually from Philly, so you knew these cheesesteaks are the real deal. For just $15, you can have a fully loaded cheesesteak, six wings, fries, AND a drink. Come hungry. Eating clean? We&apos;ve got the perfect solution. Diced Foods is another new participant, so you can stay on track while still enjoying the dining deals that restaurant week has to offer. Everybody wins! Whatever you&apos;re in the mood for, Dunwoody Restaurant Week has it. No but really - check out the full list of menus. Morning, noon, or night, we encourage you to experience as many of these restaurants as humanly possible. You&apos;ll discover that they each go above and beyond, because that&apos;s kind of Dunwoody&apos;s thing. As you dine around town June 9-16, be sure to share your food pics with us using #DunwoodyRestaurantWeek or #DineinDunwoody. We&apos;ll give you a shout out!